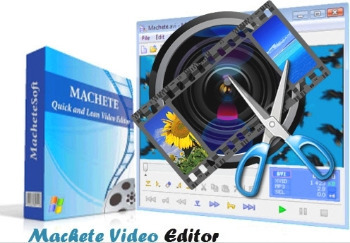 Machete portable is a convenient utility for playing and editing multimedia files. Currently, Machete can edit video and audio files in MKV, AVI, FLV, WMV, MP4, WMA, MP3 and WAV formats. You don’t need any special skills or advanced knowledge to edit video with Machete. The program is so intuitive and simple that you can literally start editing your multimedia files within a few minutes after downloading it! With its extremely user-friendly design, Machete is an ideal solution for quick and easy “slicing” of your multimedia files. You can delete unnecessary fragments (e.g. cut out commercials), copy, move, mix and save individual pieces. This means that Machete combines the functionality of both easy video splitter (cutter, trimmer), video joiner (for joining multimedia files with exactly the same formats) and more. None of the editing operations in our easy video editor requires re-encoding of video or audio streams. This is why the editing process in Machete is very quick and does not lead to any loss of video quality. This puts Machete in the category of lossless video editors. Also, it means that you do not need a powerful and expensive computer to edit your video material. After a file is edited and saved, it retains its original format.